Ellen retired from DeGraff Memorial Hospital where she worked in the Business Office. She and her late husband previously owned Streakers Lounge on Young Street in Tonawanda. Wife of the late August “Gus” Fichter. Daughter of the late Harry, Sr. and Addie Helbringer. 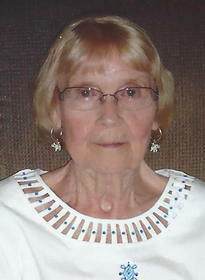 Mother of the late JoEllen and sister of the late Harry, Jr. “Honeyboy” Helbringer. Beloved mother of Deborah (Robert) Thomson of Florida, Jody Considine (the late Martin), Tracy (Michael) Carey and Patricia Cross (the late George) all of North Tonawanda. Proud grandmother of Jenelle Thomson, Martin , Amber and April Considine, Christopher, Ryan and Michael Carey. Also survived by six great-grandchildren. Dear friend of Carol Cross. Friends received by the family from 4-8 p.m. on Thursday December 28, 2017 at the Brunner Funeral Home where services will be held at 8:00 p.m. that evening. Interment will be private at Elmlawn Cemetery.